Cymbopogon citratus, commonly known as lemongrass, is a tropical perennial herb belonging to the family Poaceae (true grasses). According to tradomedicine practitioners, this plant is claimed to have therapeutic potentials in numerous diseases. This study is aimed at determining the possible bioactive components of leaves of the C. citratus using Gas Chromatography-Mass Spectrometry (GC-MS) analysis. Six compounds were identified in the methanol leaf extract and they include; hexadecanoic acid (8.11%), hepta-9,10,11-trienoic acid (17.43%), octadecenoic acid (8.41%), 2-ethenyltetradecan-1-ol (13.28%), eicosane aldehyde (37.56%) and 1-ethoxyoctadecane (15.20%) as the major chemical constituents. The presence of these compounds in the plant extract may at least be responsible for the pharmacological properties of Cymbopogon citratus and thus recommended as plant of phytopharmaceutical importance. A.J. Uraku , 2015. Determination of Chemical Compositions of Cymbopogon citratus Leaves by Gas Chromatography-Mass Spectrometry (GC-MS) Method. Research Journal of Phytochemistry, 9: 175-187. For thousands of years now, natural products mainly from plants have been explored by man in treatment of various diseases (Ebunlomo et al., 2012). Tradomedicine, over the past decade, has become a subject matter of global importance, playing an essential role on both healthcare system and world economy (Aja et al., 2014). In recent times, medicinal plants have maintained their pivotal role in healthcare system of many persons universally. This is particularly true in developing countries, where tradomedicine has a long and uninterrupted history of use (Uraku et al., 2015a). Thus, the incessant practice of tradomedicine by a large proportion of the population in the developing countries is fundamentally due to high cost of synthetic drugs and healthcare services (Uraku et al., 2015b). Also, tradomedicines are more acceptable in these countries from their cultural and spiritual points of view (Uraku et al., 2015a) and some of the human diseases treated with medicinal plants include; diabetes, cancer, obesity, cardiovascular diseases, schizophrenia and malaria among others. Although, some of these ailments have claimed a lot of lives globally. Due to increased demand of natural products from medicinal plants in healthcare serves worldwide, herbal plant producers have commenced the use of the most apt extraction methods in order to see and detach the chemical compounds present in them (Achi and Ohaeri, 2015). The main intent of detection of phytocompound in plants is to arrive at the therapeutically desired active portion/fraction and to purge superfluous materials (Waldesch et al., 2003). An exceptional facet of advanced plants is their competence to manufacture various organic chemicals of high structural density (Achi and Ohaeri, 2015). The awareness of the chemical constituents of plants is not only advantageous for discovery of curative agents but also for disclosing new sources of important economic phytocompounds for the synthesis of complex chemical substances and for discovering the actual significance of folklorica (Uraku et al., 2015b). The scientific name of lemongrass is Cymbopogon citratus. The name Cymbopogon is derived from the Greek words "kymbe" (boat) and pogon (beard), referring to the flower spike arrangement (Vazquez-Briones et al., 2015) while the word citratus derives from the ancient Latin, meaning lemon-scented leaves (Shah et al., 2011). Lemongrass is grass that belongs to a Poaceae family. It is an aromatic herb, known in the North and West tropical Africa, in Arabian Peninsula and in Egypt (Khadri et al., 2010). It is tropical perennial herbs that grow from 60-120 cm high with its leaves green, long and slats and have pleasant aroma and taste. It grows spontaneously around the world, mainly in the tropical and savanna regions. Cymbopogon is a genus of about 55 species of grasses, of which the type species is Cymbopogon citratus (Nambiar and Matela, 2012; Ibrahim et al., 2013). The common names of this grass include; lemongrass, barbed wire grass, silky heads, citronella grass, chade dartigalongue, fever grass, tanglad, hierba luisa or gavati chaha amongst many others. Cymbopogon citratus is a native of (Southwest Asia) South India but present in many part of the world growing in dense clumps (Agbafor and Akubugwo, 2007) (Fig. 1). In the folk medicine of Brazil and Mexico, C. citratus is believed to have anoxiolytic, hypnotic and anticonvulsant potentials. Laboratory studies have shown that C. citratus possesses cytoprotective, hypocholesterolemic, antioxidant, anti-inflammatory antimalarial, antimutagenic, antiprotazoan activities as well as antifungal properties (Vazquez-Briones et al., 2015; Adukwu et al., 2012). It has been shown to be effective in the treatment of fever and infection, digestive disorder, menstrual disorder, headaches, stomach aches, joint pain and rheumatic pain (Agbafor and Akubugwo, 2007; Pearson, 2010; Vaithiyanathan et al., 2011). The essential oils of C. citratus were found to have antinociceptive, insecticide and insect repelant, neurobehavioral and antirespiratory activities among others. This study was designed to extract and identify some bioactive compounds in the leaf methanol fractions of Cymbopogon citratus which may provide insight on its pharmacological properties and its use in traditional medicine. Collection and identification of plant material: Fresh leaves of Cymbopogon citratus were collected with hand in glove from GRA Abakaliki of Ebonyi State, Nigeria. The plant samples were identified and authenticated by Dr. Nnamani, K., a taxonomist in the Department of Applied Biology, Ebonyi State University, Abakaliki, Ebonyi State, Nigeria. Preparation of plant material: The leaves of Cymbopogon citratus were sorted, washed thoroughly with distilled water to remove dirt and debris, cut into smaller pieces before these was shade dried for 3 weeks at room temperature (28±3°C). The dried leaves were pulverized into fine powder using electric blender (CORONA-REF. 121, Landers and Qlink blender, Model No. OBL-15L40). The powdered materials were stored in air tight polyethene bags protected from direct sunlight until required for use. Plant sample extraction: Forty grams of the powdered leaves were extracted with 100 mL of 40% methanol overnight in a stopped bottle and with occasional stirring at room temperature (28±3°C). The sample was first sieved using muslin cloth and then filtered using Whatman No. 1 filter paper. This process was repeated three times. The filtrate was concentrated under reduced pressure at 40°C for 45 min in a rotary vacuum evaporator and then lyophilized to get a brown aromatic solid extract. The dry extract obtained was kept in a refrigerator at 4°C until required for use. Column fractionation of ethanol extract: The dry crude extract was subjected to column chromatography according to standard method. The sample for the column was prepared by adsorbing 20 g of the ethanol extract of Cymbopogon citratus with 60 g of silica gel G (60-120 mesh). The mixture was air dried and carefully layered on top of the packed silica gel in the column (14 cm length) using a glass funnel. The extract in the column was eluted with 100 mL of methanol at the rate of 1 mL min1. The eluates were concentrated and labeled. The percentage yield of the fraction was recorded. The methanol fraction of Cymbopogon citratus leaves was analyzed by Gas Chromatography-Mass Spectrometry (GC-MS). Gas Chromatography-Mass Spectrometry (GC-MS): The GC-MS analysis was carried out on a GC-MS (Model: QP2010 PLUS Shimadzu, Japan) comprising an AOC-20i auto-sampler and chromatograph interfaced to a mass spectrometer (GC-MS). The instrument is equipped with a VF 5 msec fused silica capillary column of 30 m length, 0.25 mm diameter and 0.25 μm film thickness. The temperatures employed were; column oven temperature 80°C, injection temp 250°C at a pressure of 108.0 kPa, with total flow and column flow of 6.20 and 1.58 mL min1, respectively. The linear velocity was 46.3 cm sec1 and a purge flow of 3.0 mL min1. The GC program ion source and interface temperature were 200 and 250°C, respectively with solvent cut time of 2.50 min. The MS program starting time was 3.00 min which ended at 30 min with event time of 0.50 sec, scan speed of 1666 μL sec1, scan range 40-800 μsec and an injection volume of 1 μL of the plant extract (split ratio 10:1). The total running time of GC-MS was 30 min. The relative percentage of the extract was expressed as percentage with peak area normalization. Identification of phytocompounds: Interpretation on the mass spectrum was conducted using the database of National Institute Standard and Technology (NIST) having more than 62,000 patterns. 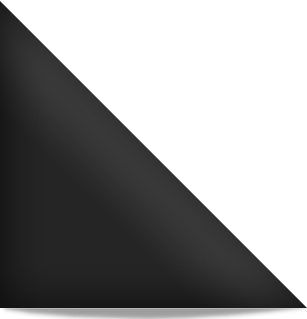 The fragmentation pattern spectra of the unknown components were compared with those of known components stored in the NIST library (NIST., 2010). The compound bioactivity prediction is based on Dr. Dukes Phytochemical and Ethnobotanical Database (Duke, 2014). The relative percentage amount of each phyto-component was calculated by comparing its average peak area to the total area. The name, molecular weight and structure of the components of the test materials were ascertained. In the present study, the GC-MS analysis of methanol extract of Cymbopogon citratus revealed that the grass contained a wide range phytocompounds which may responsible for its therapeutic potentials. The compounds identified depicted six peaks and this implies the presence of six phytocompounds in the extract (Fig. 2). The active principle, area of peak concentration (%), Retention Time (RT), Molecular Weight (MW) and Molecular Formula (MF) in the methanol extract as identified through the NIST database are listed in Table 1. The identified phytocompounds comprise mainly hydrocarbons, fatty acids, alcohols, esters and phenols. Among the compound present in the plant extract includes, hexadecanoic acid (8.11%), hepta- 9, 10, 11 - trienioc acid (17.43%), octadecenoic acid (8.41%), 2-ethenyltradecan-1-ol (13.28%), eicosane aldehyde (37.56%) and 1-ethoxyoctadecane (15.20%) as the most important chemical constituents. The nature of compound and biological activity of identified compounds of the Cymbopogon citratus was represented in Table 2. The fragmentation patterns of the peaks and identified compounds of the plant were shown in Fig. 3. This indicated disintegration of large fragments into small compounds giving rise to appearance of peaks at different m/z ratios. The biological activities of the phytocompound of Cymbopogon citratus mentioned in Table 2 are based on Phytochemical and Ethnobotanical Database by Jim Duke of the Agricultural Research Service/USDA. The identification of phytocompounds by GC-MS is a valuable technique in suggesting the possible curative properties of plant (McGaw et al., 2002). In the present study, we characterized profile of leaf of C. citratus using GC-MS. As per Dr. Dukes Phytochemical and Ethnobotanical Database, the compounds present in the plant possess variable curative roles. The flavoring phytochemicals, hexadecanoic, hepta-9, 10, 11-trienoic and octadecanoic limit the amount of cholesterol entering the body by inhibiting cholesterol absorption in the intestine, therefore, decreasing the levels of cholesterol in the body (Sutha et al., 2012). This result is in agreement with work of Mohan et al. (2014) on GC-MS analysis of bioactive components of tubers of Rucllia tuberosa L. (Acanthaceae). Hexadecanoic acid also has property of antioxidant, nematocide and pesticide activities (Mohan et al., 2014; Uraku et al., 2015a). Hepta-9, 10, 11-trienoic and octadecanoic acid as well as eicosane aldehyde are reported to depict possible effects on inflammatory diseases. Eicosane aldehyde is a component of membranes and precursor of a group of hormones like prostaglandins, thromboxanes and prostacyclines which are important in regulation of numerous physiological processes (Uraku et al., 2015b). Hepta-9, 10, 11-trienoic acid also possess chemopreventive activity against tumors, dermatitigenic and immunostimulant with stimulant effects (Gopalakrishnan and Udayakumar, 2014). Octadecanoic acid and eicosane aldehyde are shown to exhibit antiviral potentials. This report is in line with the research of Farhang et al. (2013), who reported that essential oil from C. citratus exhibits antifungal and antiviral potency against various species of organisms. This study has revealed GC-MS analysis of leaves extract of C. citratus obtained from Abakaliki, Nigeria for the first time and it showed that the essential oils of third plant contained mainly hydrocarbons, aldehyde and long chain fatty acids. Essential oils are volatile, natural, complex compounds with a strong odor and are produced as secondary metabolites (Abad et al., 2012). In nature, they play an important role in plants as antibacterial, antivirals, antifungals, insecticides and also against herbivores by reducing their appetite for such plants. They may also attract some insects, thereby favoring the dispersion of pollens and seeds or repel other undesirable insects (Victor and David, 2015). In medicine, researchers are interested in the therapeutic values of essential oils and oils exhibit functions as antibacterial, fungicidal, relaxant, stimulating, antidepressant effect. Essential oils are known for their therapeutic potentials hence, there are used in the treatment of various ailments (Hamid et al., 2011; Victor and David, 2015). Therefore, the phytocompounds identified in this plant may be responsible for the various pharmacological effects possess by the plant. Study has not given a comprehensible clue and exact mechanism of action of the essential oils so far (Ogunwande et al., 2010; Victor and David, 2015). Considering the intricacy of chemical constituents of oils, it is very likely that each of the constituents of the essential oils as obtained from C. citratus leaf has its own mechanism of action (Uraku et al., 2015a). Due to the variability of the contents of essential oils, it is likely that their various therapeutic potentials is not due to a single mechanism but rather a complex type involving different modes of action. Thus, GC-MS analysis is good approach to comprehend the nature of active principles in medicinal plant. The GC-MS analysis revealed that the leaf extract of Cymbopogon citratus contained high level of eicosane aldehyde, hepta-9, 10, 11-trienoic acid, 1-ethoxyoctadecane and 2-ethenyltetradecan-1-ol with low level of octadecanoic acid and hexadecanoic acid. The presence of these phytocompounds may be responsible for its popular use in treatment of numerous diseases by traditional users. Authors are appreciative to Director of Research, Innovation and Commercialization (DRIC), EBSU and TETFund for financial support. Abad, M.J., L.M. Bedoya, L. Apaza and P. Bermejo, 2012. The Artemisia L. Genus: A review of bioactive essential oils. Molecules, 17: 2542-2566. Achi, N.K. and O.C. Ohaeri, 2015. GC-MS determination of bioactive constituents of the methanolic fractions of Cnidoscolus aconitifolius. Br. J. Pharm. Res., 5: 163-172. Agbafor, K.N. and E.I. Akubugwo, 2007. Hypocholesterolaemic effect of ethanolic extract of fresh leaves of Cymbopogon citratus (lemongrass). Afr. J. Biotechnol., 6: 596-598. Aja, P.M., N. Nwachukwu, U.A. Ibiam, I.O. Igwenyi, C.E. Offor and U.O. Orji, 2014. Chemical constituents of Moringa oleifera leaves and seeds from Abakaliki, Nigeria. Am. J. Phytomed. Clin. Therapeut., 2: 310-321. Duke, J.A., 2014. Dr. Duke's Phytochemical and ethnobotanical databases. http://www.ars-grin.gov/cgi-bin/duke/ethnobot.pl. Ebunlomo, A.O., A.O. Odetola, O. Bamidele, J.N. Egwurugwu, S. Maduka and J. Anopue, 2012. Effects of Emilia praetermissa leaf extract on the haematological and biochemical parameters of stress induced ulcerated Wistar rats. Afr. J. Biochem. Res., 6: 185-189. Farhang, V., J. Amini, T. Javadi, J. Nazemi and A. Ebadollahi, 2013. Chemical composition and antifungal activity of essential oil of Cymbopogon citratus (DC.) Stapf. Against three Phytophthora species. Greener J. Biol. Sci., 3: 292-298. Gopalakrishnan, K. and R. Udayakumar, 2014. GC-MS analysis of phytocompounds of leaf and stem of Marsilea quadrifolia (L.). Int. J. Biochem. Res. Rev., 4: 517-526. Hamid, A.A., O.O. Aiyelaagbe and L.A. Usman, 2011. Essential oils: Its medicinal and pharmacological uses. Int. J. Curr. Res., 33: 86-98. Ibrahim, H.M. and F.M.A. Salem, 2013. Effect of adding lemongrass and lime peel extracts on chicken patties quality. J. Applied Sci. Res., 9: 5035-5047. Khadri, A., M. Neffati, S. Smiti, P. Fale, A.R.L. Lino, M.L.M. Serralheiro and M.E.M. Araujo, 2010. Antioxidant, antiacetylcholinesterase and antimicrobial activities of Cymbopogon schoenanthus L. Spreng (lemon grass) from Tunisia. LWT-Food Sci. Technol., 43: 331-336. McGaw, L.J., A.K. Jagar and J. van Staden, 2002. Isolation of antibacterial fatty acids from Schotia brachypetala. Fitoterapia, 3: 431-433. Mohan, V.R., N.R. Kumar and K. Vasantha, 2014. GC-MS analysis of bioactive components of tubers of Ruellia tuberosa L. (Acanthaceae). Am. J. Phytomed. Clin. Therapeut., 2: 209-216. NIST., 2010. Automated mass spectral library with search program (Data version: NIST11, version 2.0). National Institute of Standards and Technology, Gaithersburg, MD., USA. Nambiar, V.S. and H. Matela, 2012. Potential functions of lemon grass (Cymbopogon citratus) in health and disease. Int. J. Pharmaceut. Biol. Arch., 3: 1035-1043. Ogunwande, I.A., G. Flamini, P.L. Cioni, O.Omikorede, R.A. Azeez, A.A. Ayodele and Y.O. Kamil, 2010. Aromatic plants growing in Nigeria: Essential oil constituents of Cassia alata (Linn.) Roxb. and Helianthus annuus L. Records Nat. Prod., 4: 211-217. Pearson, O., 2010. The antibacterial properties of essential oils. http://www.livestrong.com/article/114953-essential-oils-wrinkles/#ixzz1W7u9hn6K. Shah, G., R. Shri, V. Panchal, N. Sharma, B. Singh and A.S. Mann, 2011. 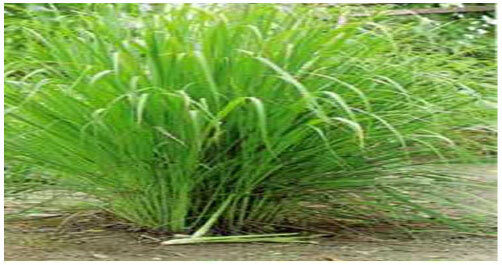 Scientific basis for the therapeutic use of Cymbopogon citratus, stapf (Lemon grass). J. Adv. Pharm. Technol. Res., 2: 3-8. Sutha, S., V.K. Devi and V.R. Mohan, 2012. GC-MS determination of bioactive components of Alstonia venenata R. Br. Res. J. Pharmaceut. Biol. Chem. Sci., 3: 291-296. Uraku, A.J., A.N.C. Okaka, U.A. Ibiam, K.N. Agbafor and N.A. Obasi et al., 2015. Antiplasmodial activity of ethanolic leaf extracts of Spilanthes uliginosa, Ocimum basilicum (Sweet Basil), Hyptis spicigera and Cymbopogon citrates on mice exposed to Plasmodium berghei Nk 65. J. Biochem. Res. Rev., 6: 28-36. Uraku, A.J., C.E. Offor, E.J. Itumoh, C.E. Ukpabi and P.M. Aja et al., 2015. Gas Chromatography-Mass Spectrometry (GC-MS) analysis of essential oil from Hyptis spicigera leaves. Am. J. Biol. Chem., 3: 45-56. Vaithiyanathan, S., B.M. Naveena, M. Muthukumar, P.S. Girish and N. Kondaiah, 2011. Effect of dipping in pomegranate (Punica granatum) fruit juice phenolic solution on the shelf life of chicken meat under refrigerated storage (4°C). Meat Sci., 88: 409-414. Vazquez-Briones, M.C., L.R. Hernandez and J.A. Guerrero-Beltran, 2015. Physicochemical and antioxidant properties of Cymbopogon citratus essential oil. J. Food Res., 4: 36-45. Victor, O.O. and S.M. David, 2015. GC-MS analysis of phyto-components from the leaves of Senna alata L. J. Plant Sci., 3: 133-136. Waldesch, F.G., B.S. Konigswinter and H. Blasius, 2003. Herbal Medicinal Products, Medpharm, Stuttgart, Germany. CRS Press, London, ISBN: 3-88763-098-X, pp: 48-54.